Exciting news, amigos … COVER REVEAL TIME!!!?!?!?!!?!??!! My cover designer, Lisa has been hitting that photoshop super hard for very poor pay and even with such horrendous working conditions, she’s come up with a real gem. 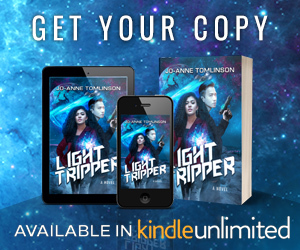 Light Tripper is available for pre-order on Amazon and you can add it to Goodreads or make sure you’re following me on Facebook, Instagram or Twitter so you know when spend your hard earned money, some of which will be going to Lisa. Feed a starving cover designer. Buy a book. Whether you are an avid reader or just ended up here by accident, you have arrived on quite a fortuitous day! I’m very excited to share with you the cover for the newest edition to the Ardentia series, The Light of Mytis, which is scheduled for release this December. I’m very grateful to my cover designer who puts up with my constant nagging and pretty much works for Camembert and crackers. or, just like me on various social media sites, whichever is easiest. Click For Hot Gift Card Giveaway Goodness!!! What’s that, you haven’t gotten around to reading the first two books in the series, The Empyrean Key and Veil of the Corrupter, yet? Well now’s your chance. For the next week BOTH books are 99c over at Amazon. The Light of Mytis will be released in December with preorders available from next week. I am currently accepting inquiries about Advanced Copies, so go ahead and send me an email and we can have a chat.